Well, it’s Thursday and even though I haven’t posted since the start of the month, I am trying to get back into a rhythm after The Hiatus. So, time for another edition of “Stuff I Love”. I only used the colored thread. And, after using the bag for a couple of weeks, I would recommend some modifications. Instead of using a precut quilting fat quarter, I would use some heavy duty canvas, or outdoor upholstery fabric. 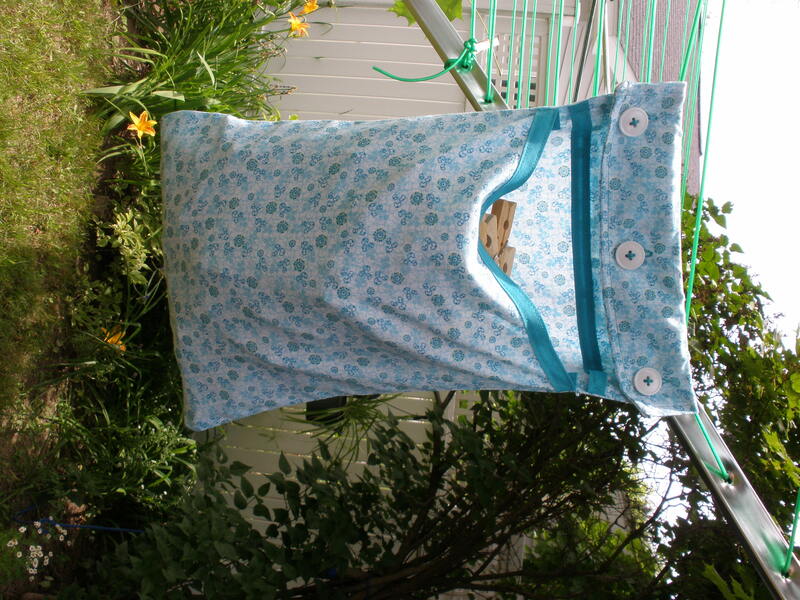 There are some lovely patterns available for lawn furniture that would be quite pretty as a clothespin bag. 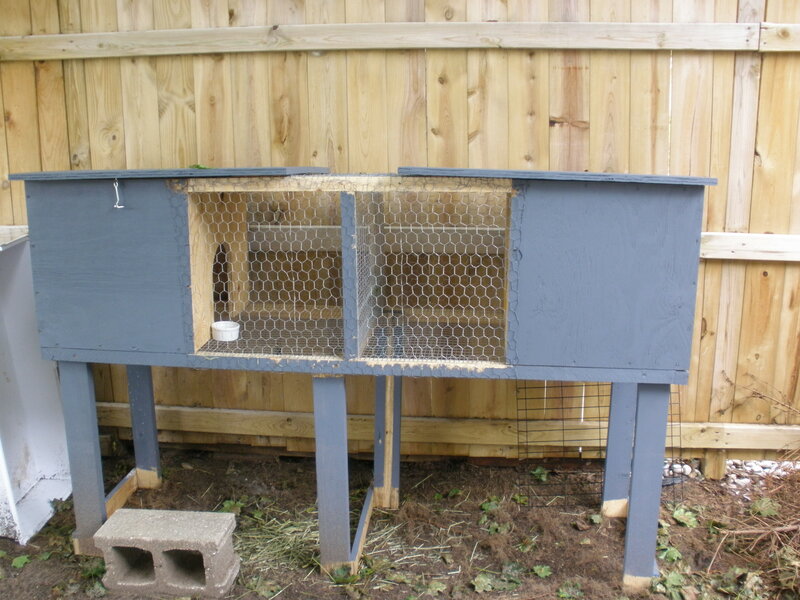 The quarter I used was 18″ x 30″ so a sturdier fabric cut to about that size or similar would work. Mr. Hippie thinks the bag should have holes at the bottom for drainage. With the lightweight cotton I used, that isn’t really a problem, but if a sturdier fabric or something that is waterproof is used, drainage might be necessary. I think that could be easily accomplished by adding a row of narrow buttonholes across the bottom before the bag is sewn shut. 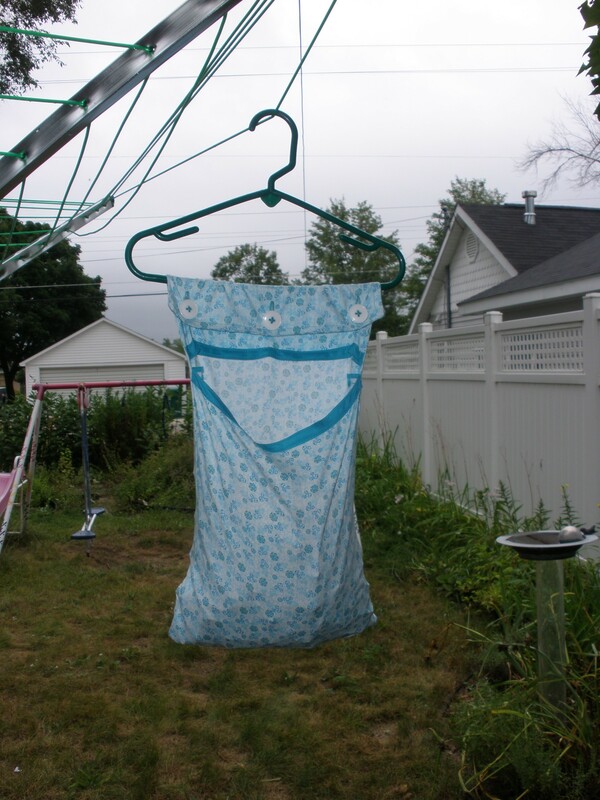 When I first hung my bag on the line, I hung it directly on the line. 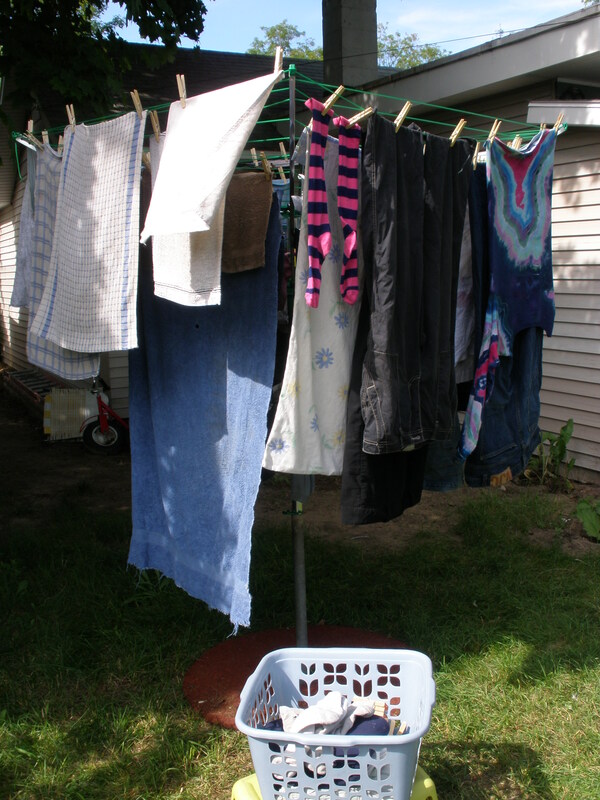 If you have a long, straight line, or a line on a pulley, that should be fine but for my umbrella style clothesline it meant that I was spinning the line ’round & ’round and frequently digging under two or three layers of damp clothes to reach my pins. If you use an umbrella-style or multi-line clothesline, I would highly recommend hanging the bag on a child-sized hanger like My Lucky Chicken suggests so that you can move your pins around easily. 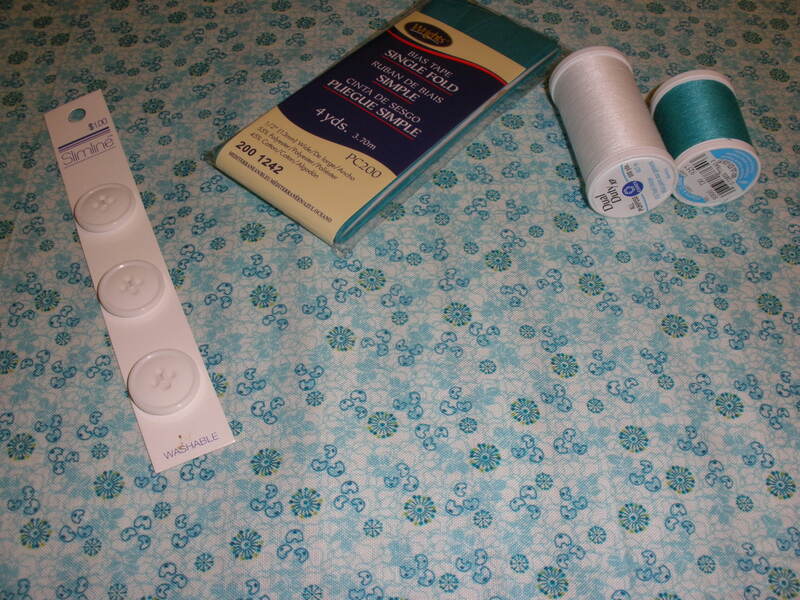 If you know you are going to be using a hanger, you could skip the buttons and sew the bag directly onto the hanger; the buttons and buttonholes were the most difficult part of the project. With the addition of a hanger for convenience. This was a super simple project and I love the results. 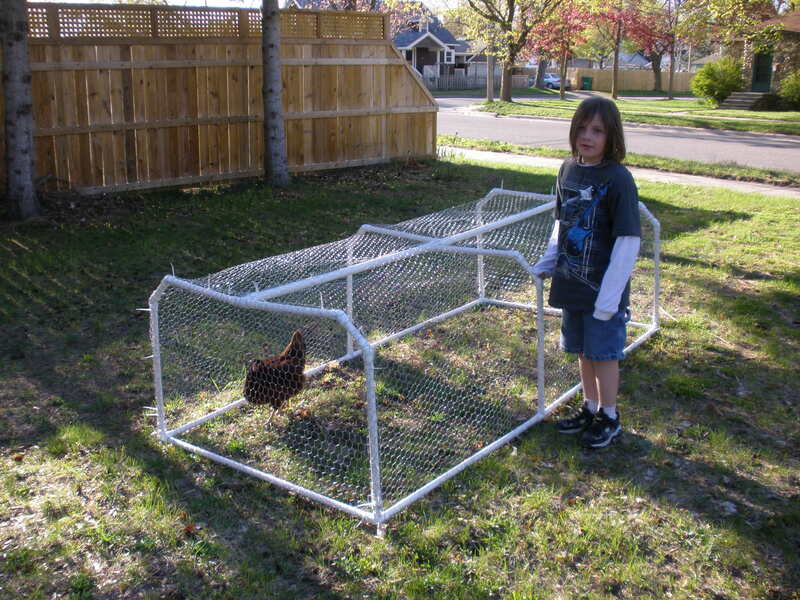 Plus, since finding the tutorial, I have perused the archives of My Lucky Chicken and love the site so much that I have added it to my links. She has posts about all the Stuff I Love including her clothesline and her snack bags! Check it out! Vinegar is a miracle solution. You can cook with it, clean with it, even rinse your hair with it. There are aged vinegars, flavored vinegars organic vinegars and thousands of other variations on this ancient product. Here in Traverse City, we even have a store devoted to the sale of it. All of that said, imagine my surprise at this statement, “You know white vinegar is made of oil, don’t you?” I didn’t take these words lightly. They came from the mouth of a wise friend whose opinions and ideas I take to heart. I didn’t argue with him, because I didn’t know, but I couldn’t just let that conversation go. 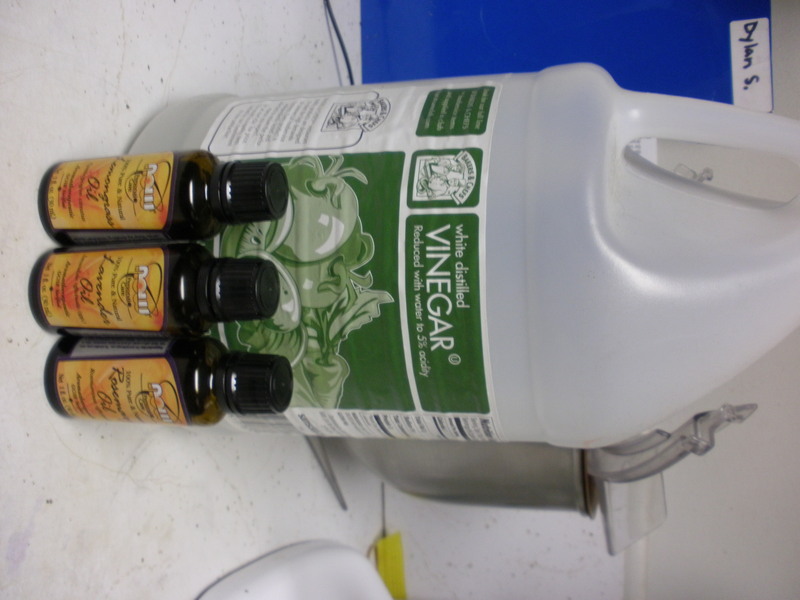 I had to do more research because, well, I love my white vinegar! 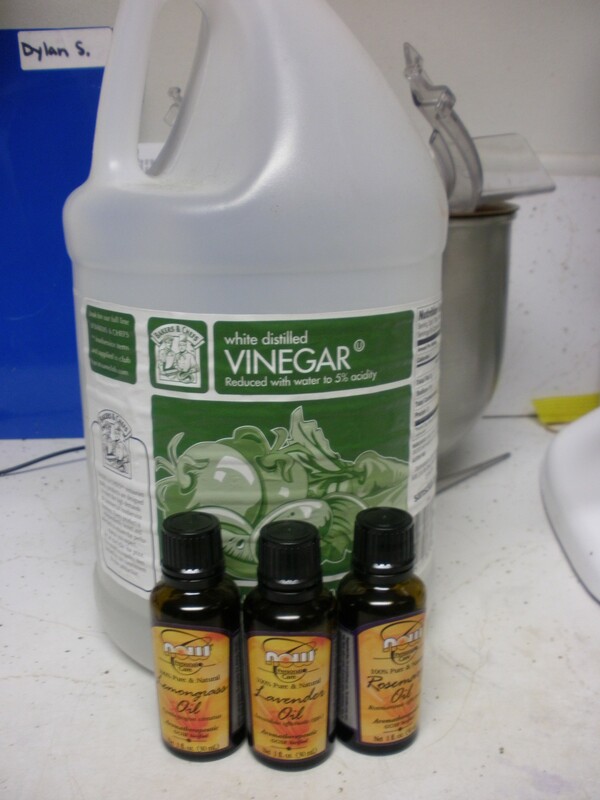 In my searching, I stumbled upon this post at Tiny Choices that discusses vinegar at length. I won’t rewrite her post here, but it is true. 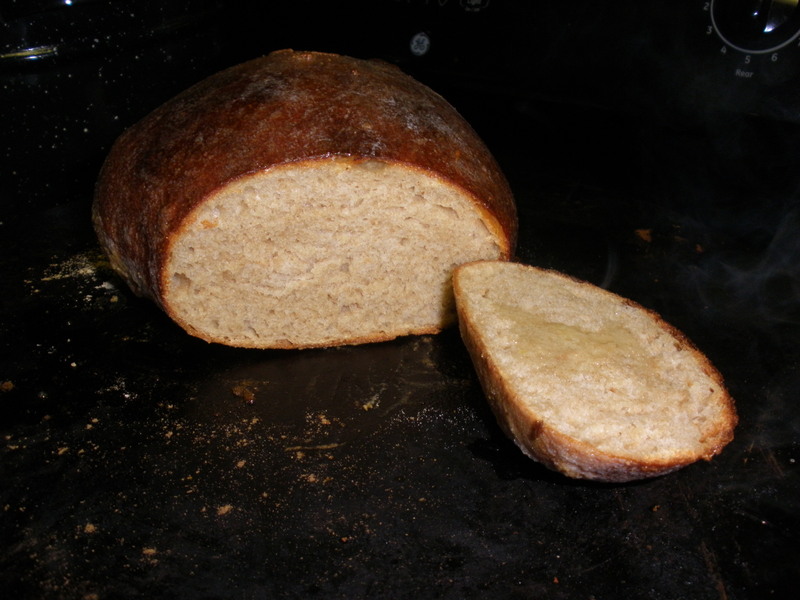 Most white vinegar is made with by products of the petroleum industry. The worst part is that this practice is sanctioned by the FDA and other government agencies established to protect us! Ok, so chemically, the vinegar is probably the same as “natural” vinegar distilled the old-fashioned way. But do I want to encourage the use of petroleum by-products in my food? Do I want to wash my clothes in oil? Soak my pickles in oil? Rinse my dishes in oil? I can’t speak for you, but no, I don’t. The vinegar I was buying didn’t state its source. 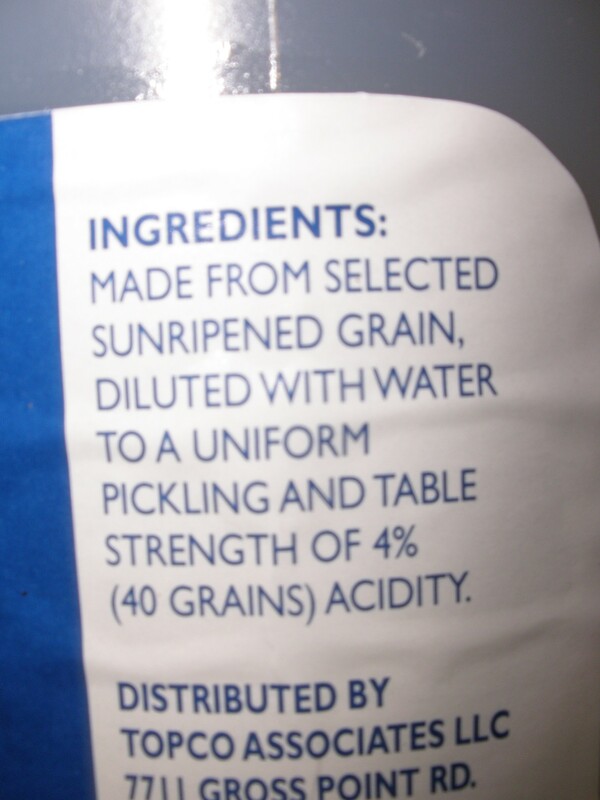 Which means that it is pretty likely that it isn’t naturally distilled. Heinz touts purity on its labels, but Heinz is significantly more expensive than the vinegar I was buying so I had to keep looking. I checked all the vinegar labels at Meijer: none of them announced their source. On to the next store. My neighborhood grocery, Tom’s, is generally a little pricier than Meijer, but with time comes wisdom and I’m beginning to realize all the things that make paying a little extra important even if it cuts into my budget. Tom’s employees are friendly and cheerful. They are willing to help you and they still carry out your groceries for you if you want that service. Many of the employees have been with the company for a long time; that says a lot. I could go on all day about the merits of local businesses over box-stores, but this is a post about vinegar, no? So, do you know what’s in your vinegar? Maybe, like me, you’re trying to green up your home. Or maybe, also like me, you’re cheap budget-conscious. Either way, you are going to LOVE this recipe. 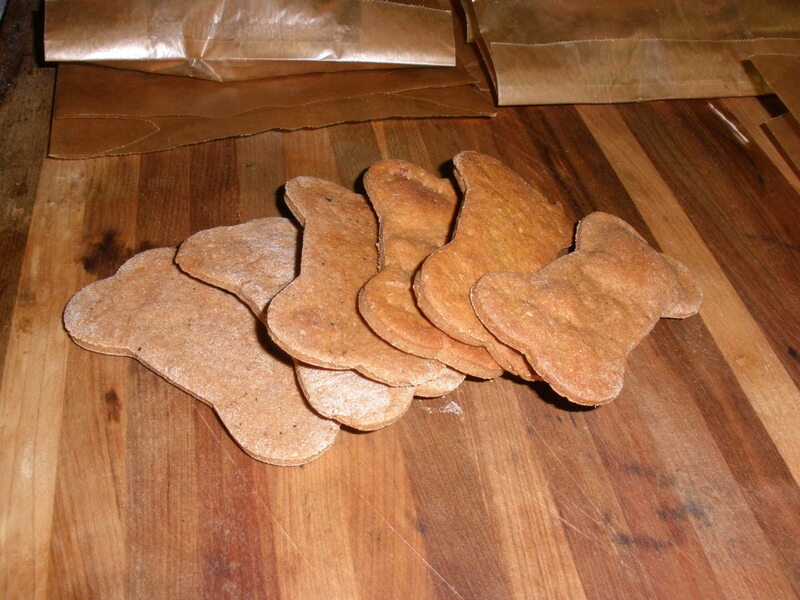 Actually, this is more like a non-recipe. 1. Get a big jug of white vinegar. 2. Add some drops of essential oil for fragrance. I used lemongrass, lavender and rosemary so that it would match my Homemade Detergent, but oils are completely optional! That’s it! See how easy going green can be? You may be thinking, but won’t my laundry smell like pickles? No! That’s the beauty of it. The vinegar smell dissappears when the vinegar dries. You don’t actually have to add any fragrance, but it does linger on your clothing slightly, so I do it because I like it. You don’t have to. Vinegar helps the detergent rinse complete from your laundry and naturally softens the clothing without the toxic chemicals in traditional fabric softeners. Plus, it helps clean your washing machine. But, being green is only one advantage of this softener. As I mentioned before, this will save you $$! I just refill this bottle with my vinegar and a few drops of essential oils. Now, even when I used toxic fabric softener, I used sheets. But, one summer my sister and her family stayed with us. She was kind enough to leave behind this bottle of Downy for me. If you’ll notice, the price tag says, “$6.79”. That price is from 2003, so it may be more. I really have no idea. If you’d like to weigh in on this matter, please feel free to leave a comment. Anyway, back to the math. For $6.79, you can soften 52 loads. That works out to about 13 cents per load. 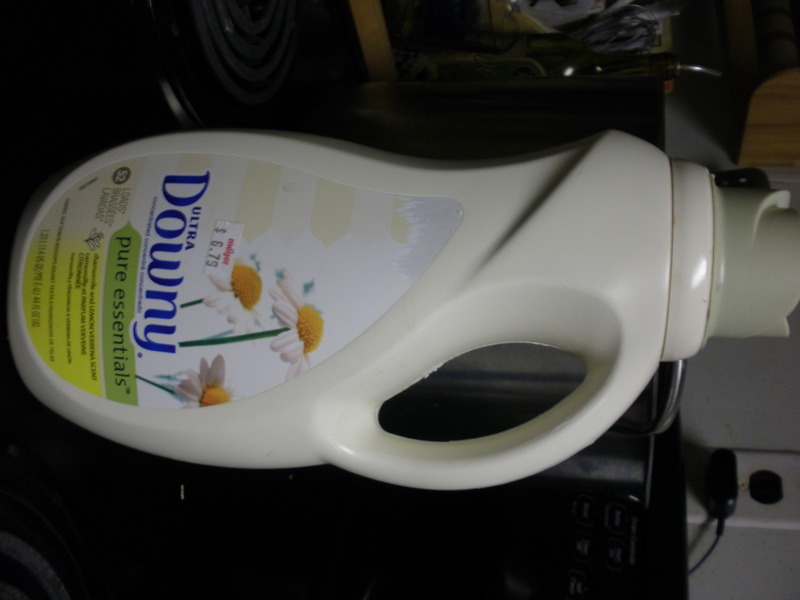 I use the lid from this Downy bottle to measure my vinegar, so I use the same number of ounces per load (0.85 oz.) White vinegar comes in 1 gallon jugs. I pay $1.69 for a gallon of vinegar (128 oz.) 1 gallon of vinegar is just over 150 loads. That works out to about 1 cent per load. Even if you add essential oils, it wouldn’t be more than 2 cents per load if you paid a LOT for your oil. My oils are in the $3 price range so I don’t even figure them into the price because the 20+ drops I put into the Downy bottle barely cost a nickel. Even if you only wash 1 load of laundry a week, (and who does that??) you would save over six dollars a year. Not to mention eliminate gallons of toxic chemicals from the water supply and avoid long-term skin contact with these same chemicals. If you do five loads a week you’ll save over $31 a year. Imagine what you could save over a lifetime of doing laundry! 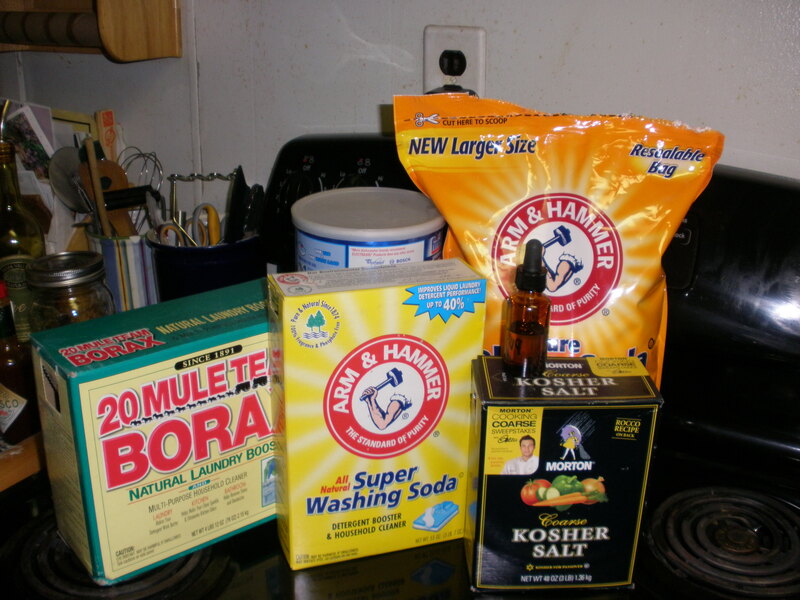 If you like green cleaning products, you’ll probably like my Sink Scrub recipe, too. I’ve been meaning to make my own laundry detergent for quite a while now. I’m not sure what But the four jugs of “buy 1 get two free” laundry detergent I had kicking around the laundry room kept me from doing it until now. 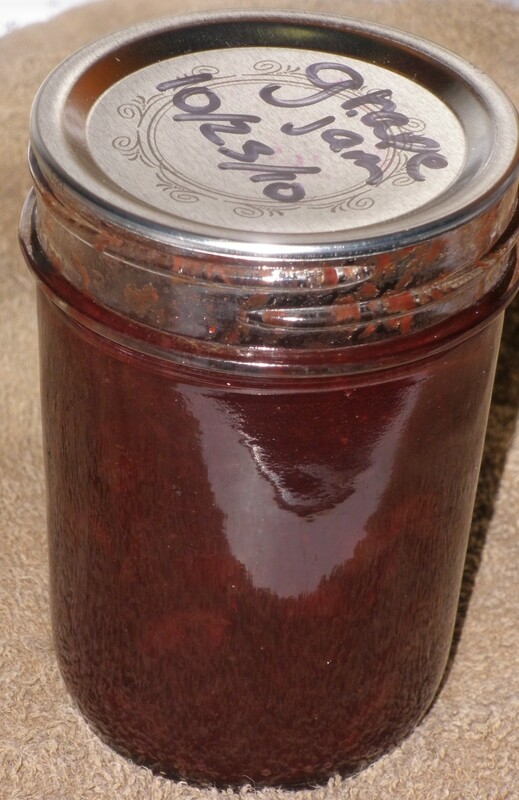 Now, those yucky grocery store bottles of detergent are all gone so I can make my own. This is so easy, everyone (including you) should go make some. I wrote the recipe on the side of my container so that I wouldn’t have the trouble of losing it like I did with my dishwasher detergent. Now I can never lose the recipe! Remember how much I LOVE my Kitchenaid mixer? Oh, Kitchenaid, how I love thee! 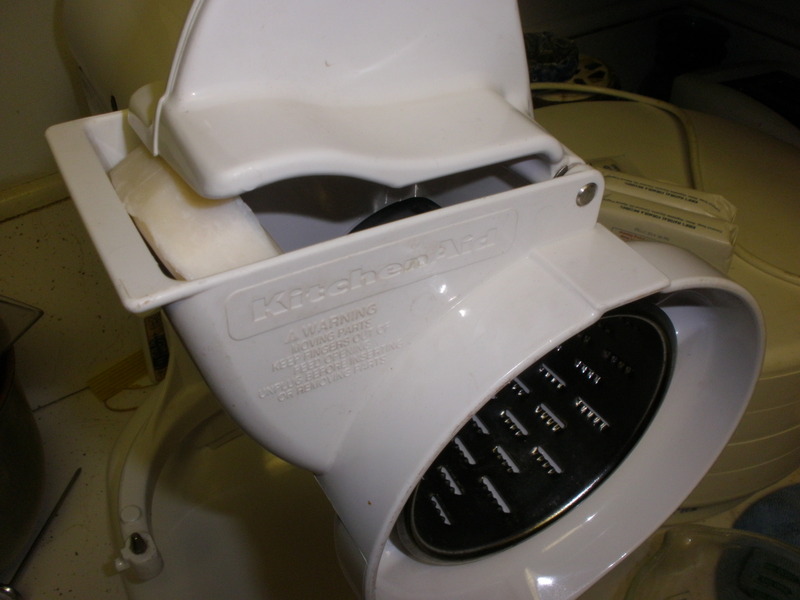 One more reason: It grinds up bars of soap in no time flat. Shredded up bars of Kirk's Coco Castille. I used Kirk’s Coco Castille for this batch because that’s what I bought months ago when I got it into my head that I would start making laundry detergent, but I will NEVER use it again for two reasons. One, it is expensive; you can use Ivory soap or homemade soap instead. And, two it has such a strong scent that I can’t stand it. 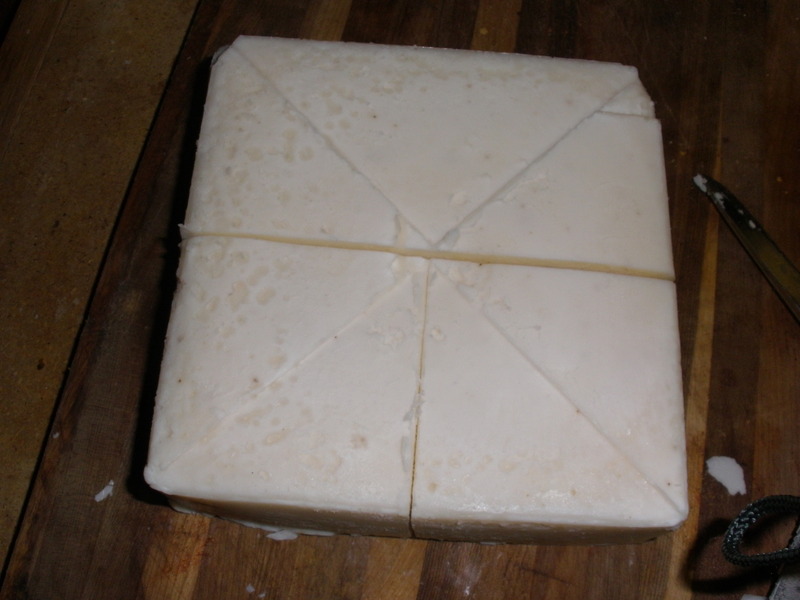 Once you have the bars of soap ground up, dump them into whatever container you are going to use to hold your soap. (Three bars yielded four cups of grated soap.) Add essential oil for fragrance if you are going to scent your soap (I used a combination of lavender, lemongrass and rosemary.) 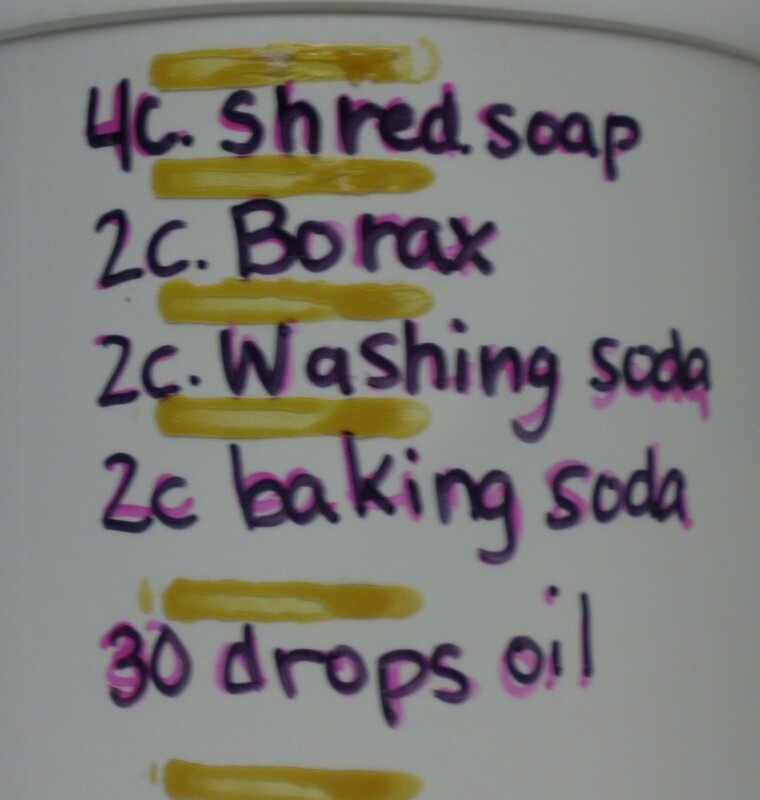 and shake or stir it before adding two cups each Borax, washing soda and baking soda. 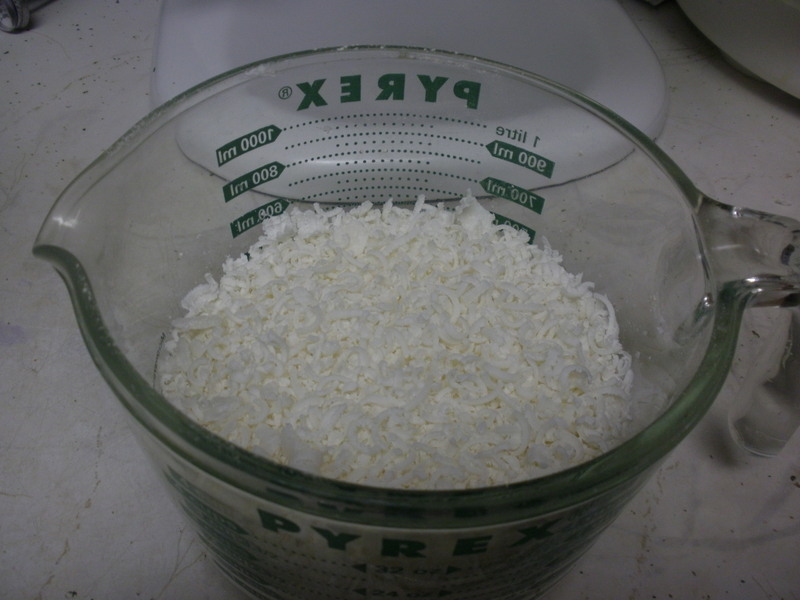 Shake or stir the entire batch until the grated soap is incorporated throughout the powder. I put mine into this container I got from a friend that used to hold some kind of protein powder. 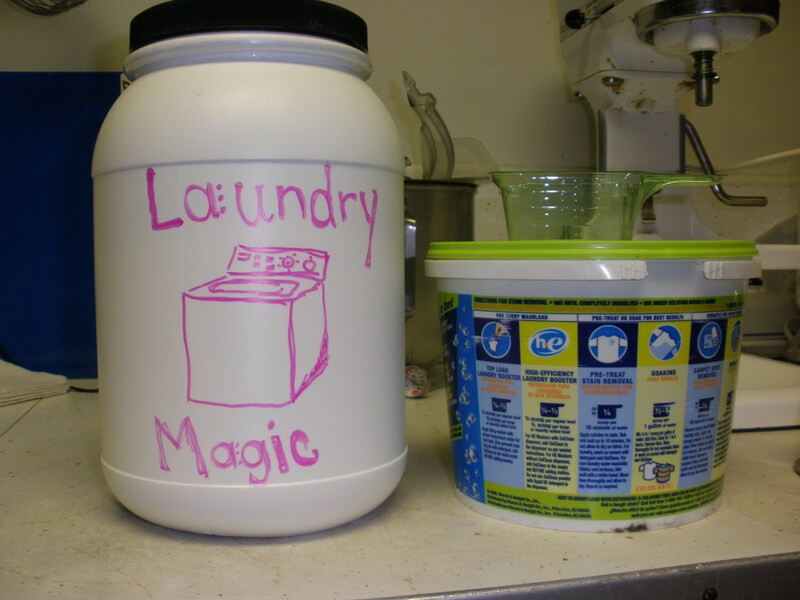 Finished homemade Laundry Magic and Wide-mouthed alternative container. But, if your husband does laundry (like mine does) and has giant man-hands (like mine does), you may need to find a wide-mouthed container that he can easily reach into so that he isn’t deterred from doing laundry in the future. I reused this old laundry soap container. Best of all, it even came with its own scoop. I use about 1/4 1/8 cup per load, but you may need to adjust the amount you use based on how hard your water is and how dirty your clothes are.